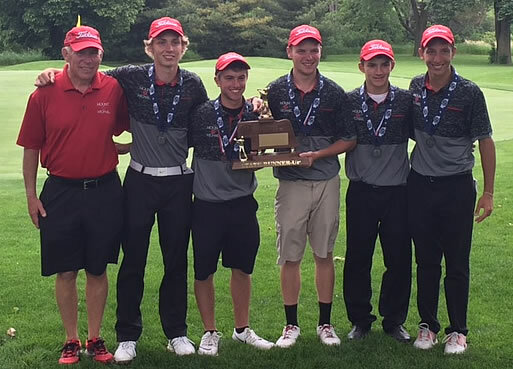 The Mount Michael Golf team punctuated the closing of the 2015-2016 school year by winning the State Class B Golf Runner-up Trophy to add another banner to the palace. The two-day competition was held at Pioneer Golf Course in Lincoln. Three Knights were also individual medalists. Sophomore Johnathan Hudson placed sixth while seniors JT Hudson and Luke Krajewski tied for eighth place.